The marble mausoleum built in the name of love. 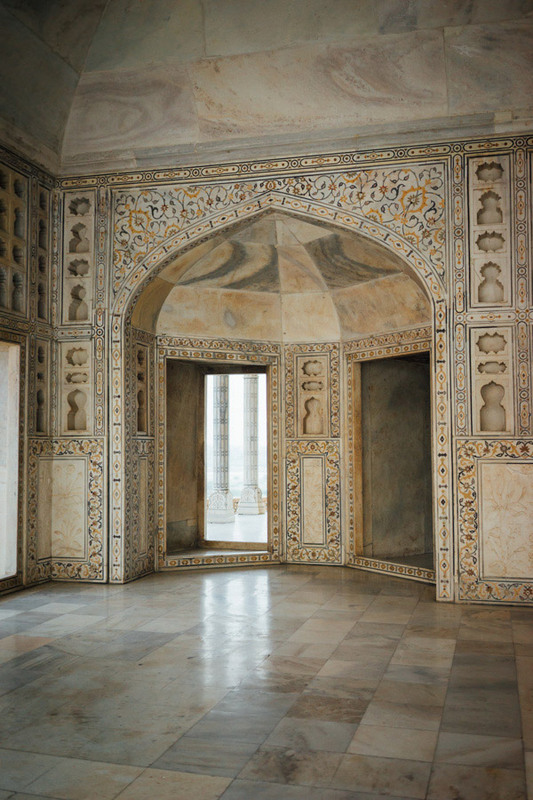 Commissioned by Emporer Shah Jahan almost 400 years ago, the ivory tomb was for his third wife, Mumtaz Mahal. 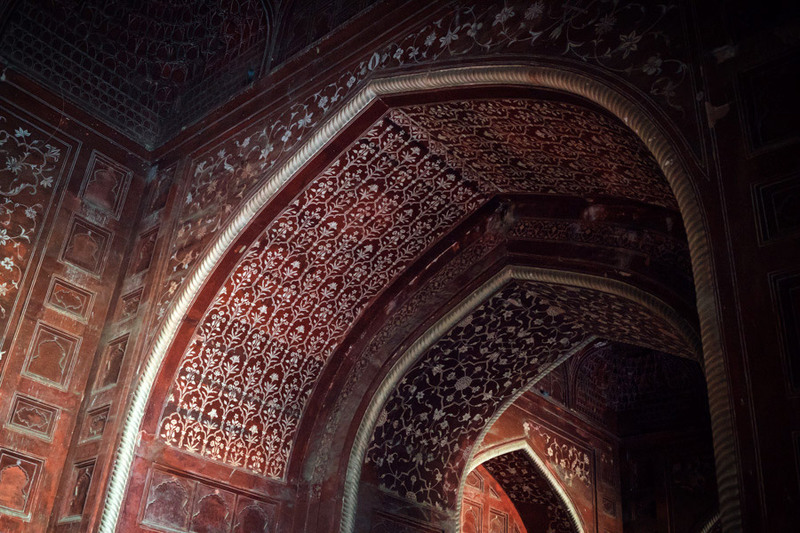 It’s been said that Shah Jahan intended to construct an identical black structure across the Yamuna River, where he could be laid to rest, but after being deposed by one of his sons and imprisoned at Agra Fort, he never had the chance. Instead they lay together here at the Taj Mahal. We could not have spent our anniversary in a more symbolic way, aboard a rough train ride at night on our way to Agra. I wake up for the Nth time this night and decide to stay awake once and for all, staring at the ceiling a few centimeters from the tip of my nose - sure, someone could argue my nose is bigger than average. We’re approaching Agra, a few hours late. Madie and I move to a lower bunk, now empty, to stare out the window at the rugged landscape of India’s countryside. I’m groggy, with a rough throat, and a runny nose. The deepest voice I’ve ever heard travels through the cars. He should be an announcer on KCRW, but he sells the next best thing after coffee - Chai, the sweet, spicy milk tea that completes our long night of travel. Groups gathering before the Taj Mahal. Soft morning light behind the marble mausoleum. Agra welcomes us with dust, loud noises, and an overwhelming number of rickshaw drivers. After a quick negotiation at the hotel we pass out in the room, our throats now irritated from the ride. Rooftop restaurants seem to be a thing here, all promising a magnificent view of the Taj, at a distance and behind that tree with all the leaves (everything is subjective). Ours is blasting loud electronic music for its two customers, us. Thankful, we pay our bill and escape to our room again, hoping for a good night sleep before an early rise to see the famous monument. Avoiding a few scams at the entrance (thanks, Wikitravel), we enter and catch our first glimpse of the Taj Mahal, bathing in a faint rose hue from the still rising sun. As hyped as it is, we are still speechless, slowly exploring the park and taking off our shoes to feel the marble with our feet. 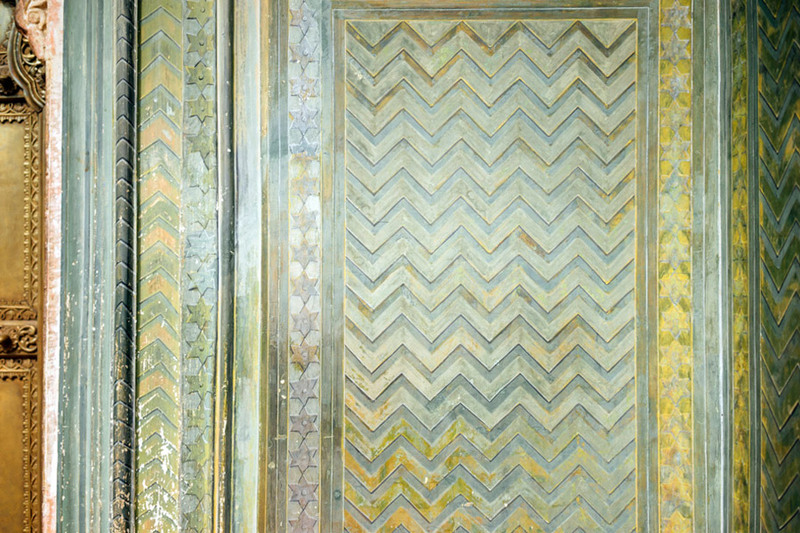 It is an incredible mausoleum for the emperor’s favorite wife, as magnificent from afar as it is intricate up close. Two red sandstone buildings raise on the sides for a perfect symmetry. 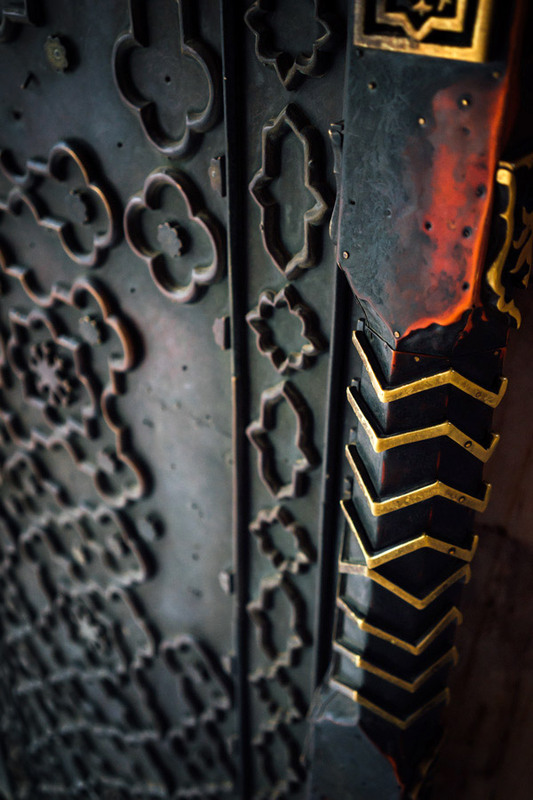 It is said the emperor, Shah Jahan, was planning another black Taj Mahal for himself on the other side of the river. I realize that this is the first Muslim monument we set out to visit on our travels (other mosques in Malaysia and Indonesia were closed to us). How else could you start better? 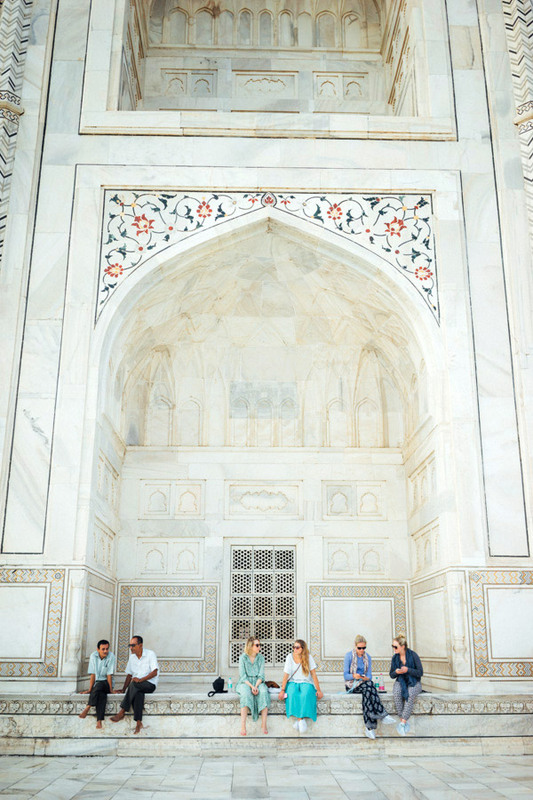 We can’t imagine how many pieces of white marble were used to construct this masterpiece, but even more, the time it took to intricately lay all the floral tile work and calligraphy of the Taj Mahal. Just look at the scale of things! One of two identical red sandstone buildings that face the Taj Mahal, this one a mosque, the other a guesthouse. At the end of his life, Shah Jahan was held captive by his son at Agra Fort, just 2.5 kilometers northwest of the Taj Mahal. From this window you can see the mausoleum for his late wife in the distance. 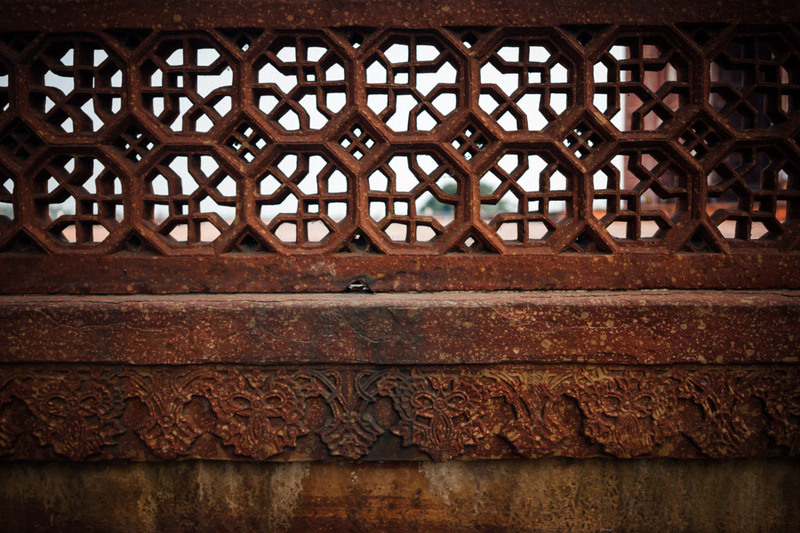 The brick and red sandstone Agra Fort. 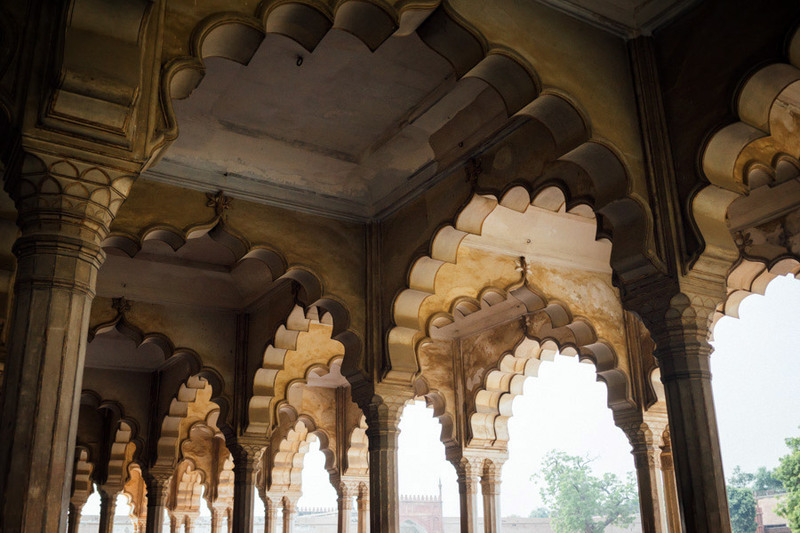 We walk to the Agra Fort, turning down a dozen confused rickshaw drivers along the way. 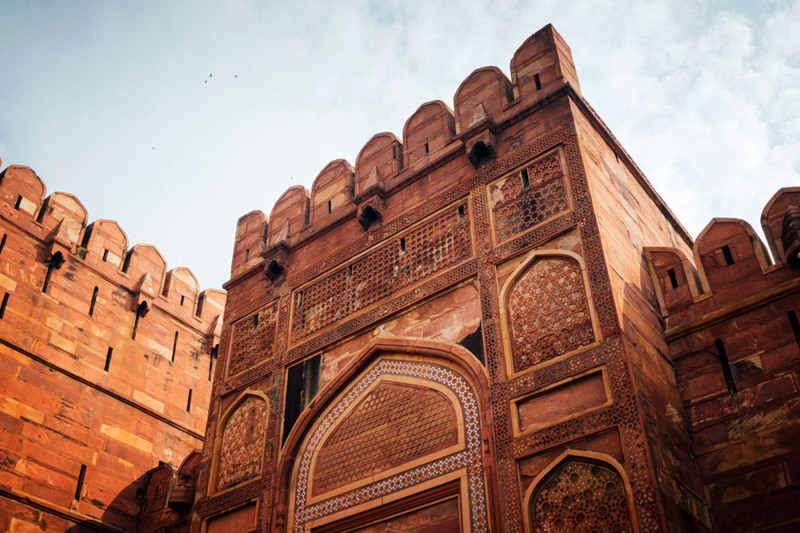 The fort stands tall above the Yamuna River and the city, in pink sandstone and white marble. It holds countless pools, meeting rooms, and living quarters. I suddenly feel stupid for having forgotten the incredible medieval past of India, giving the country a profound history, culture, and of course, richness from the silk and spice roads to Europe. An hour in the unbearable heat finishes to kill me, still coughing from yesterday’s dust-filled ride. We head back for another nap before another long train ride to Jaipur. This time we’re in a better bunk, with closed windows and AC. We arrive in Jaipur, the eastern gateway to Rajasthan, in dust, pollution, with empty stomachs, and another attempted scam - the now-famous: “You know what’s wrong with foreigners?” We’re tired, annoyed, on the edge - maybe a bit exhausted from traveling altogether. But we find a small oasis of peace at $8 a night, wondering what to do next. Somewhat overwhelmed by the whole thing we decide to sleep, and leave our emotions for later. Backstreets, quiet streets of Jaipur. A camel in the alleys of Jaipur. Jaipur’s old city refreshes us in the wee hours of the next day. A tuk-tuk takes us to the City Palace amongst small streets, local vendors, and easy smiles. The complex is a collection of pink colored walls, aesthetic paintings, and beautiful architecture - to Madie’s pleasure who can’t stop clicking away. 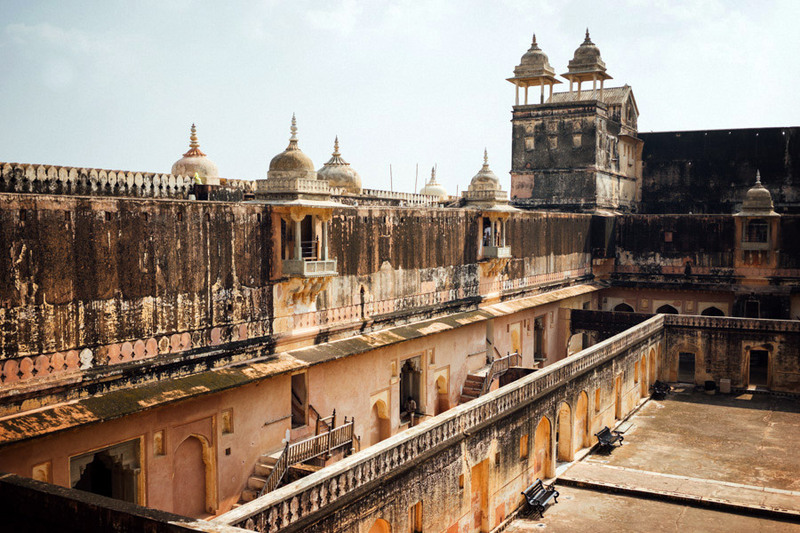 We walk amongst the palace, secretly hoping to catch a glimpse of the Maharaja, only 18 years of age. Before, they were as powerful as kings; now they hold small positions in governments, often as ambassadors. 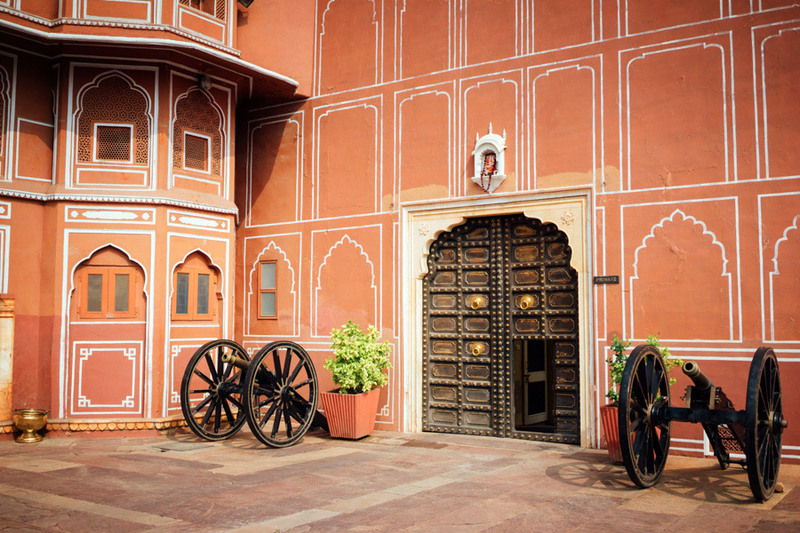 The iconic facade of Hawa Mahal was built for royal women to observe street life, unseen from above. 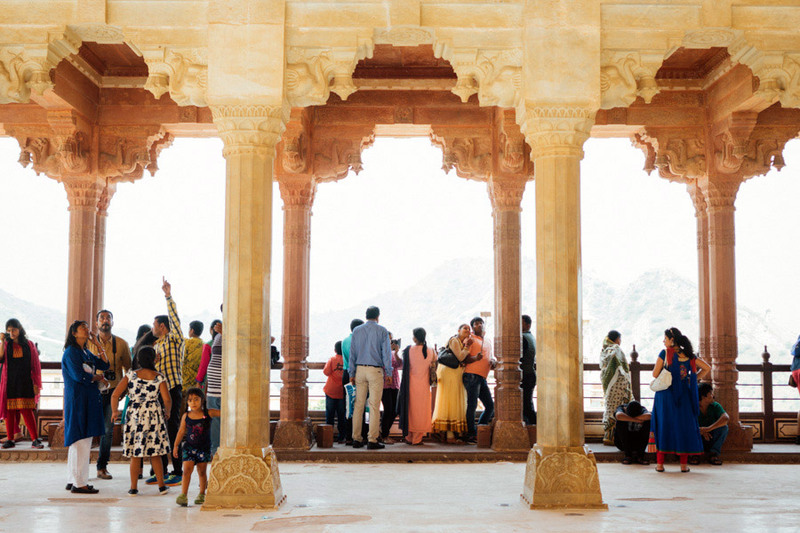 At only 15 meters high it’s constructed from the pretty red and pink sandstone that gives Jaipur its nickname: The Pink City. 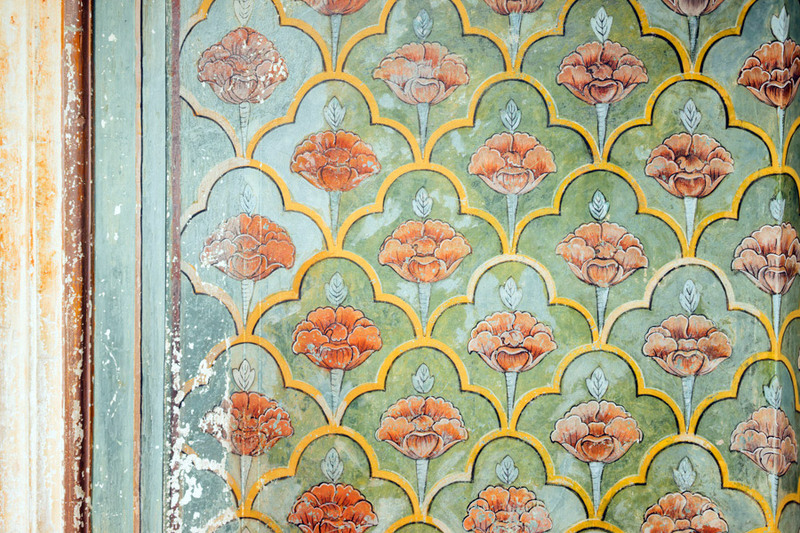 Inside the Pink City’s City Palace Walls. 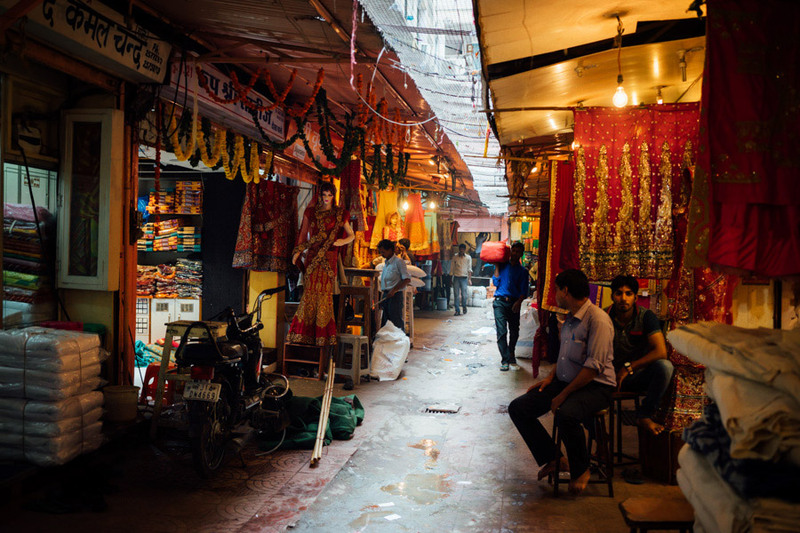 Piles of fabrics and stacks of colored textiles at the edge of the city’s old bazaars. 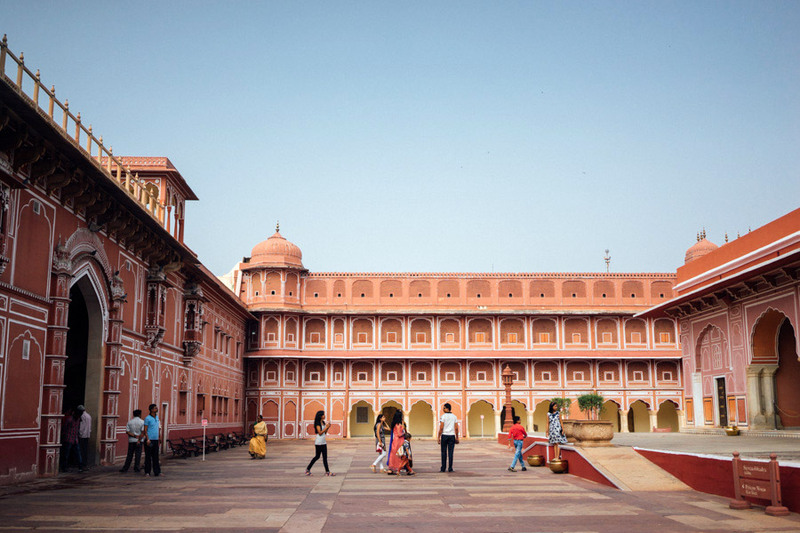 A few steps outside the City Palace is the Hawa Mahal, a facade of red and pink sandstone built for the ladies of the royal household to look outside without being seen. 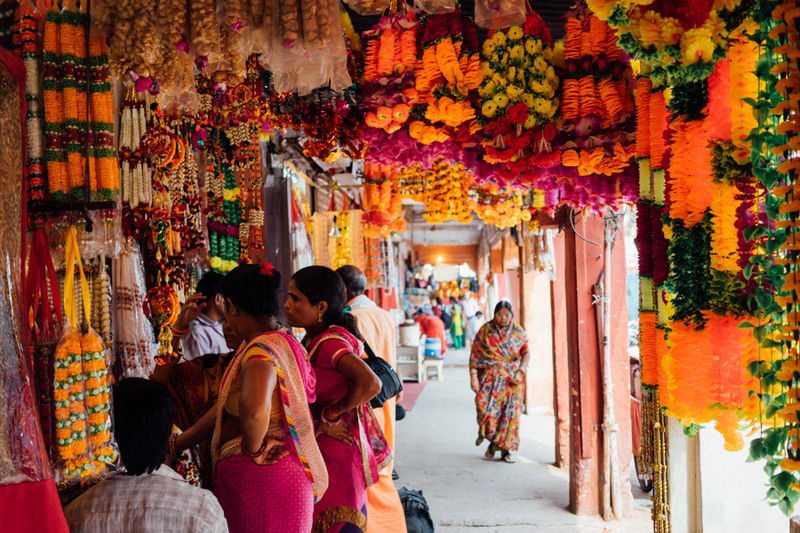 We scour for lunch, walking through the tight streets of the local market amongst colorful textiles and spices. Lines grow at the street barbers by the road. We hop on a local bus heading to the Amer Fort for a mere ₹10. I squeeze between colorful ladies wondering what a tall white guy with sunglasses is doing here. We arrive right into an episode of Game of Thrones. The fort stands above us, tall, strong, on a strategic hill overlooking the entire area. We walk up, slowly, remembering that an overconsumption of curry makes people fat and slow. 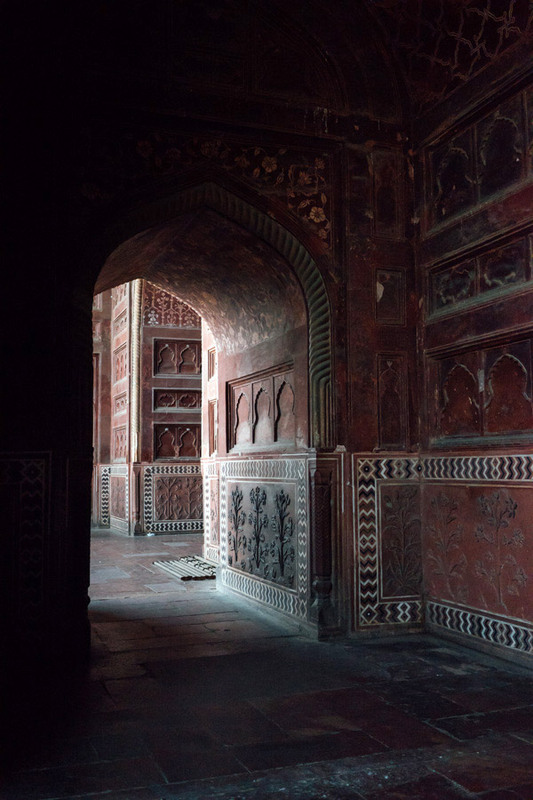 The complex is vast and full of treasures: a palace of mirrors dating centuries back; numerous courtyards with young men posing together; living quarters for the mistresses and concubines; corridors, pathways, and staircases with fake security guards for the unofficial visit with a tip. Kids greet us with large smiles at the exit, happy to take part in our photos, at last, for free. 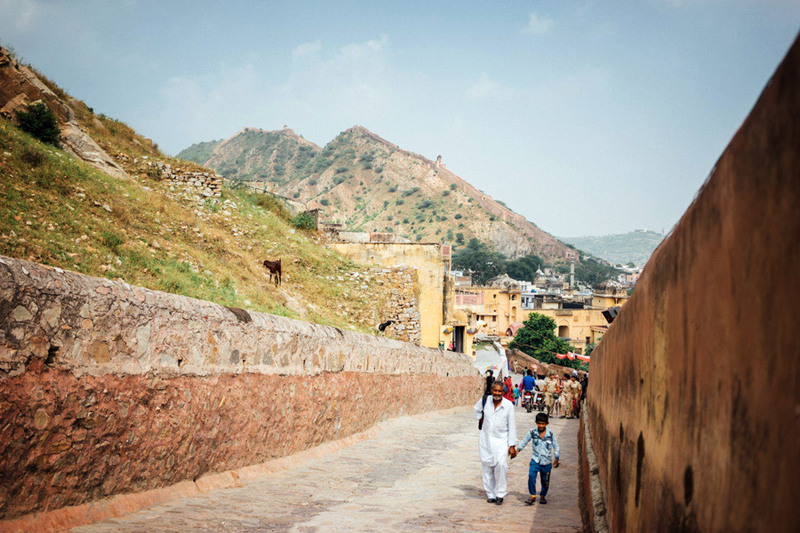 Amer Fort reminds us we still have to catch up on so many seasons of GoT. We know it’s not filmed here but this epic fortress is straight out of those times. 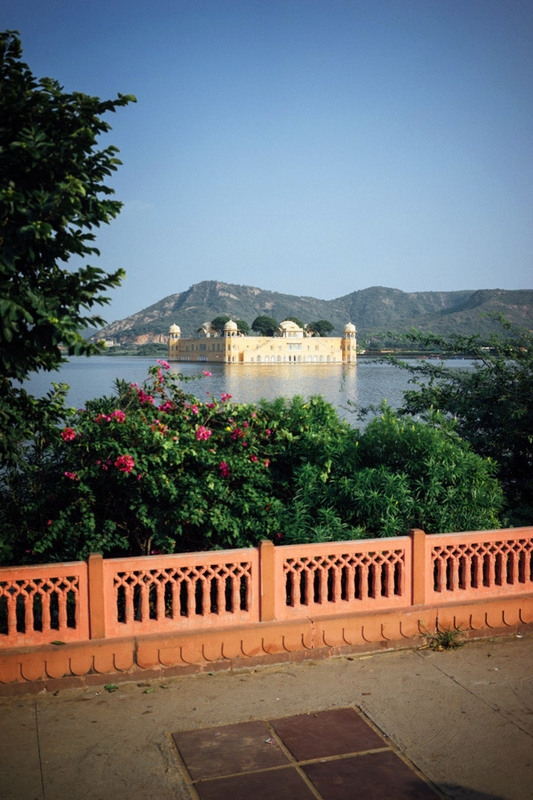 On the way back to town we make a short stop to the Jal Mahal, the Water Palace where you can allegedly take incredible pictures over the still water. Unfortunately, the pictures don’t show the heaps of trash at the edge of the lake, and the many beggars stopping there too. I can’t decide, India, if you’re beautiful and rich, or sad and dirty. 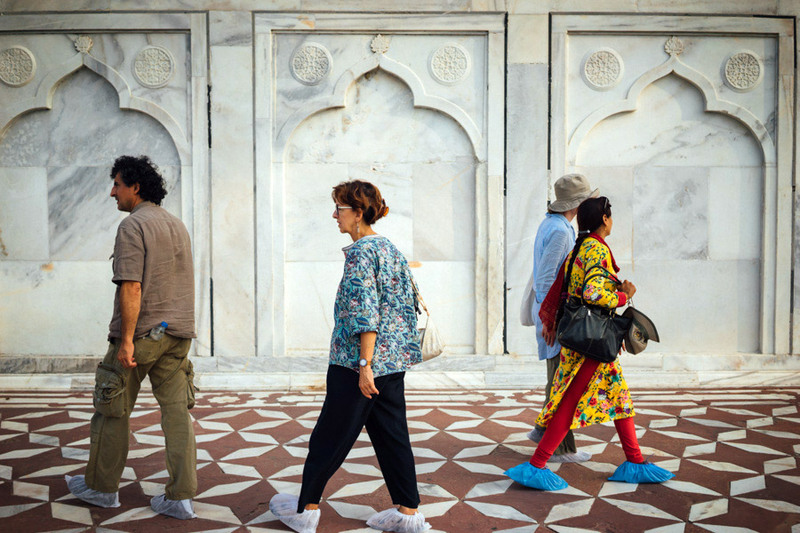 Agra is on the way to Delhi from Varanasi, and part of the Golden Triangle tourist circuit. 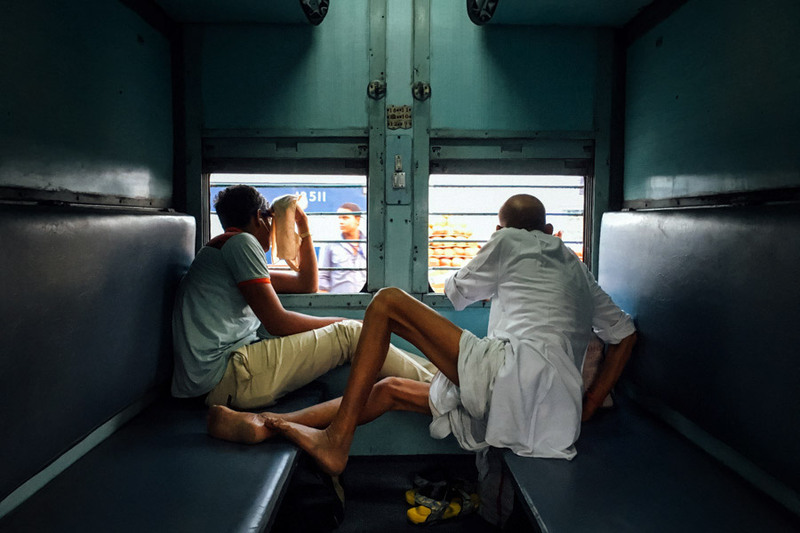 A night train from either city, the price will define your comfort (which can be more than enough). Unfortunately, the train ticket system is an absolute wonder of the world on its own, and only reserved for people with guts, better-than-average hacking skills, and incredible patience (see www.seat61.com/india.htm). 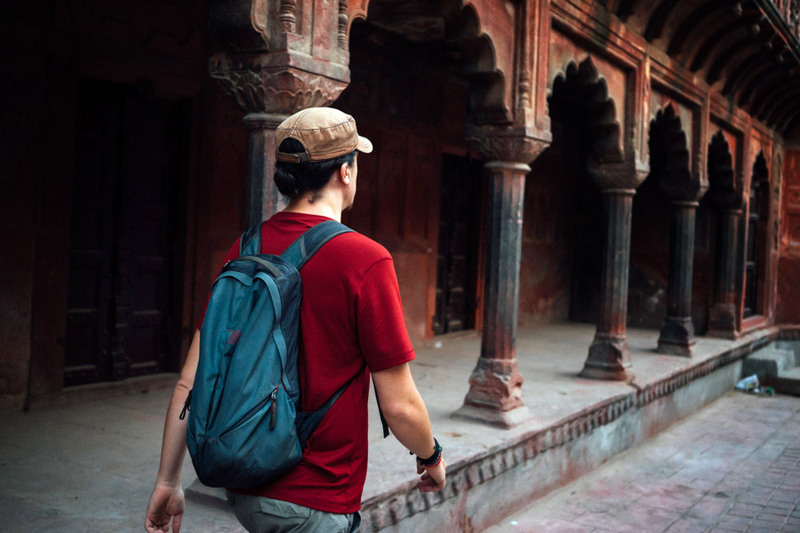 Better to ask tourist agencies when in India. 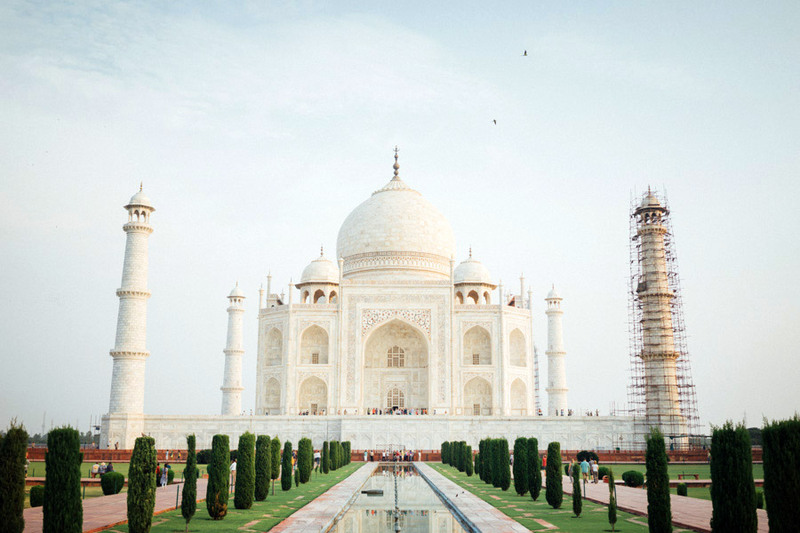 The Taj Mahal, a UNESCO protected heritage, is also one of the New 7 Wonders of the World. Do not miss it, and do your reading before heading there to avoid the obvious scams (www.wikitravel.org/en/agra#taj_mahal). 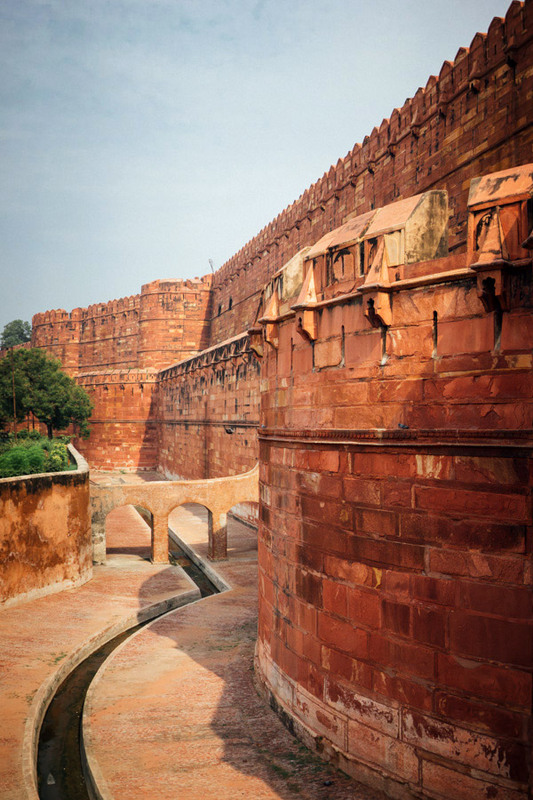 The Agra Fort is a short walk away and absolutely worth the visit. Jaipur is another night ride away (also part of the Golden Triangle). 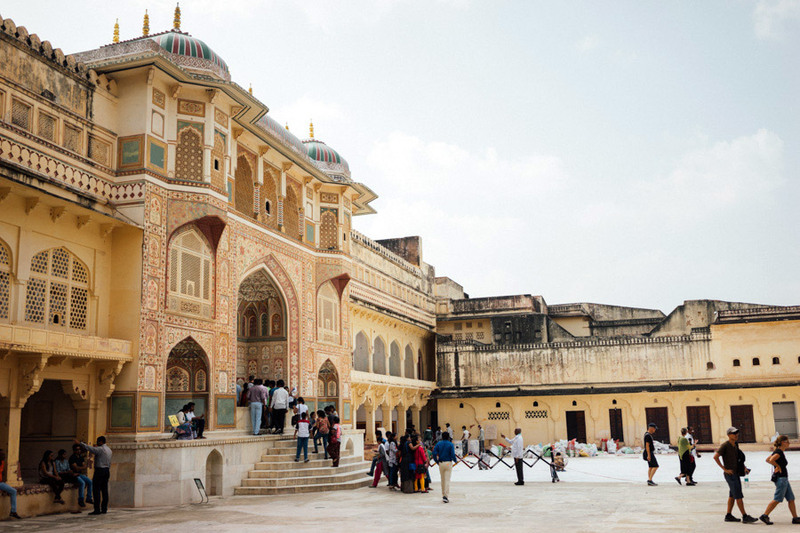 The City Palace and Amer Fort are its main sites, and it is easy to find tuk-tuks or taxis to drive you around for the day (don’t forget to haggle). Flights are getting more and more inexpensive with low-cost airlines. We took one later on and saved 12 hours on a train. Check out www.skyscanner.com.